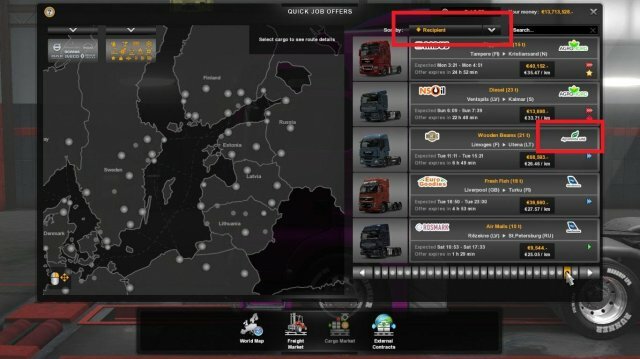 Guide for the all achievements in the Beyond the Baltic Sea DLC. 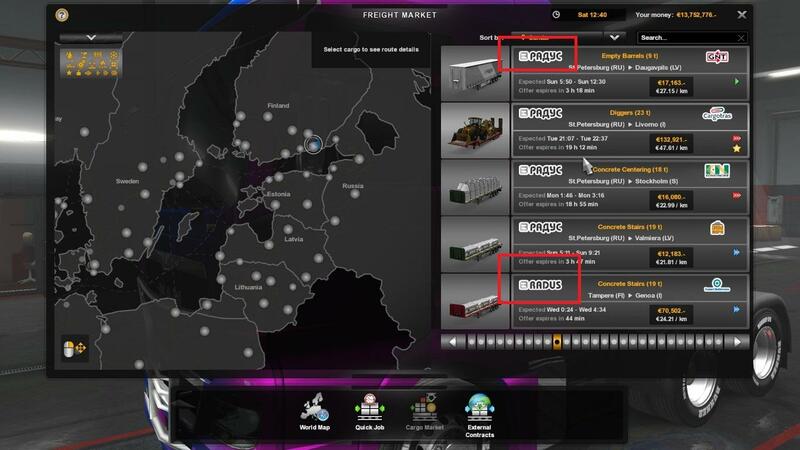 They are not hard but if you don't want to try all farming companies for the like a farmer achievement or if you want to know all locomotive, furniture and paper mill companies you can check here. This will give you more time to do other things in your life. How to Reverse with a Trailer. 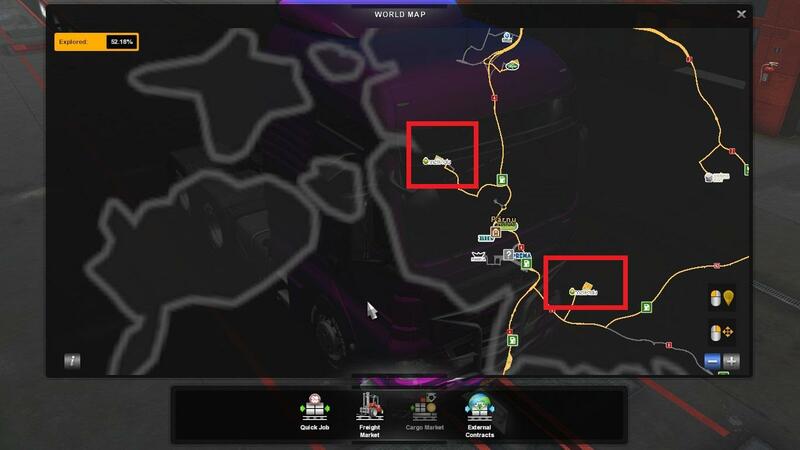 How to Fix a Glitch Rain. There are 16 farms. You need to bring a trailer to all 16 of them to get this achievement. Zelenye Polja, Maatila Egrees, Õnnelik Talu, Evikši ZS, Agrominta UAB are farms/companies that you need to deliver a trailer. ** As you see there are 2 farms in 3 cities. Make sure you bring a trailer to both of them. 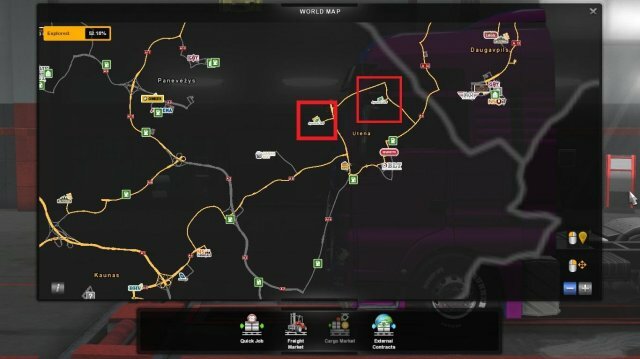 If you want to get the achievement quickly, make sure you check the farm in the cities which has double farm. If it is the farm you've already delivered a trailer just quit the job and search for an another job. You can sort the cargoes by their recipient. It will make easier to find farms. 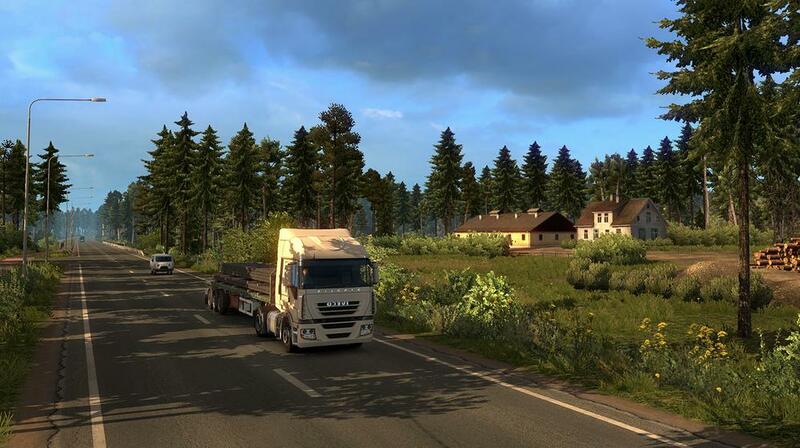 Discover all Beyond the Baltic Sea DLC cities. As the explanation says you need to discover all cities in the DLC. There are 35 of them. This can be easily done. Just visit all the new cities. Any order or direction counts. This one is also can be easily done after you read the explanation. The important part is, it should be perfect delivery. So do not exceed speet limit, do not run a red light, do not crash with another car and be there in time. 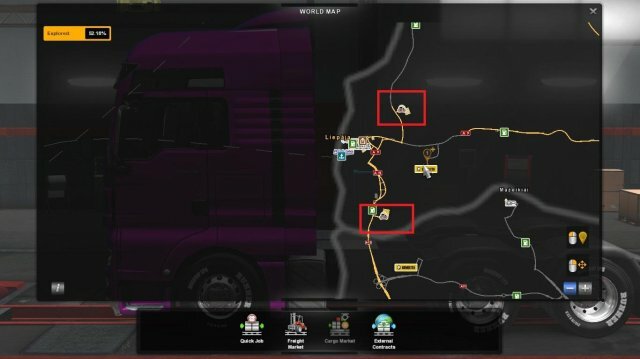 If you start from the Kaliningrad you can follow this order easily and it will be the shortest way. It doesn't have to be in this order though. Complete 5 deliveries from Kaliningrad to any other Russian city. 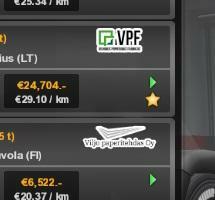 You can make all 5 from Kaliningrad to St. Petersburg or any other Russian city you want to. It doesn't matter. Complete 10 deliveries from concrete plants. Complete 10 deliveries from the RADUS (РАДУС) company. You will see RADUS is writing in Cyrilic alphabet (РАДУС) in Russian cities. Both will count for the achievement and don't forget the sort the jobs by their sender, so you will find the jobs from RADUS(РАДУС) easily. Both logos of the RADUS (Latin and Cyrilic alphabet). Make at least two deliveries to each locomotive, furniture and paper mill factories. Again you can sort the cargoes by their recipient. You need to deliver at least two trailers to all 12 companies I've listed below. After that you will get the achievement. There is only one furniture company and it is RENAT. There are 3 paper mills. VPO Viljo paperitehdas Oy, Estonian Paper AS and VPF Vilniaus Popieriaus Fabrikas. There is only one locomotive factory and it is LVR Latvijas Vagonu Rūpnīca.